I actually for real watched a video on all the turok handheld games like the night before you guys posted d about them btw : p It seems that they made one for each of the n64 + Evolution, despite games now actually having anything to do with them, haha. Ive heard that the gba one was good, but too difficult. Makes me wonder if it had cheats available. Have you tried it, @Glowsquid? Oh also, Ive been thinking about something lately. I think that most people assume that Im like anti new games, and only want to play old games. Thats not really true. I dont actually hate modern games, I mean I dont like the style most of them are taking. But there are pleanty of games that look interesting to me coming out, especially for switch. My biggest thing is whether or not they are worth buying. These past few years, Ive found that I enjoy playing older games, but beyond that, there are still tons of games that I havent even had the chance to try. 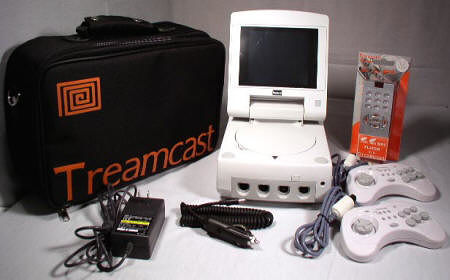 Like, with xbox and dreamcast, I for real completely missed out on those consoles, and am only now getting to try them. Ill totally try them one day in the future when I catch up, for sure : p Im just not in a hurry now, when I still have games for older consoles to look forward to, haha. Will you ever get the Toejam and Earl game for the Xbox? What I basically got from it was that it would have been a good game if it were released for dreamcast instead of n64. Their other complaints were lame, too. They talkrd about bad enemy AI and the fact that enemies miss all the time, then openly said they played it on easy. They also complained about needing an expansion pack. I dunno how they didnt know this, I was like 11 when it came out, and I was well aware it needed one before we ever even had the game. Console bias totally ruined this review. I like everyone else have biases, like I hate playstation controlers. But Im pretty sure I dont put down games merely because I dont like the console they came out on. Oh, also they said something about it being golden eye, cuz made by same company and used same engine. While I can understanding liking a previois game over a later game that used the same engine, but improved, just because it started off such a game, I dont think its a valid reason to say the game is bad. If it is, we should also use the same reasoning for other games. Turok dinosair hunter was great. Turok 2 is now a bad game cuz improved engine. Wcw vs nwo world tour was great, wcw revenge and wwf no mercy are now bad cuz same engine. @Triple M do you have a switch? The reviews he made after starting his Patreon. They have "MK3" in the title. @MonaWare nah, I just am in the mood for more speculating. Would you guys consider getting a "Treamcast"? Only if it comes with Shenmue and JSR, some of the best Dreamcast games. The nostalgia for NSMB is already settling in.